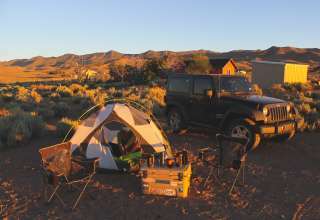 The best camping in Nevada. Snow, sand, and sun are all available when camping in Nevada. Explore historic Nevada locations with beautiful views and activities. 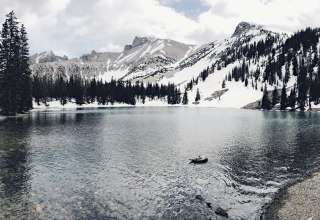 Nevada may be most commonly known for a plethora of gambling activity, but be sure to not write off the amazing landscapes, history, and camping available within the state. 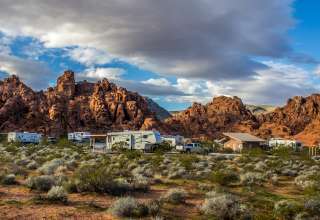 The Valley of Fire State Park is Nevada's own slice of Red Rocks camping. The red sandstone formations have been around for 150 million years. Definitely worth exploring and seeing for yourself! One of the best parts of camping is getting away from the bustling cities and enjoying the beautiful starry night skies. A great place to count the stars is Great Basin National Park in eastern Nevada. Check out the famous Lehman Caves, over 60 miles of trails, and small private campground. Lake Tahoe is definitely the best of both worlds year-round. From beautiful warm summers to snowy winters, Lake Tahoe is located between California and Nevada and provides endless adventures for picturesque moments. The Valley of Fire has 2,000 year old petroglyphs carved into the massive red sandstone in the Mohave Desert. There are 69 miles of shoreline at Lahontan Reservoir allowing for great fishing, kayaking, horseback riding and camping! Fort Churchill helped guard the Pony Express route and was a base for hundreds of soldiers. Ichthyosaurs, an ancient marine reptile swam in a warm ocean that covered central Nevada 225 million years ago. The fossils are a must see! Ever taken a sleigh ride? Sand Harbor offers sleigh rides drawn by mighty Belgian draft horses available year round.